If you think the grass is greener on the other side, then you're just not flocking right! This is always a nice friendly show, but unless you go by train the car parking can be difficult. Also you need to be able to climb stairs to get to some of the stalls, so its not wheelchair friendly. I hope to go this year. Very true, we try hard to make it a very friendly and welcoming show and do our best to help people and answer any questions. There is a car park at the back of the Tesco Express, turn right off of Kings Street just before the railway bridge. There is just the stage that is not wheelchair friendly, with only one secondhand stall on there. Yes this is a great little show, and I will be attending . I can almost smell those bacon and sausage cobs. Yes, agree with the above, a great little show were I always manage to turn up something of interest!! You can park in a small industrial area just before the hall on the right as well. Who is attending the show today? Literally the village next to me and I've never heard of it so today we shall see!! I will go this morning - about 11ish I guess. And then on to my favourite Anstey shop. 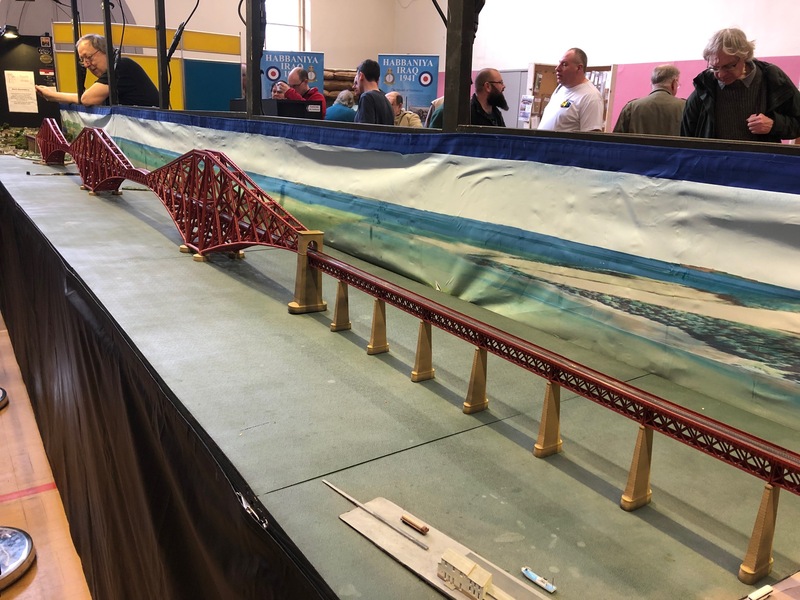 Ray and Martin will be there with the B H Enterprises Stand for all of the bits and bobs and a few kits ,Martin is very knowledgeable and can answer nearly all of your questions . We hope you enjoy the show . You can blame my dad for that Bob, OVB all the way, he's trekking over from Worcestershire this morning and planned to take him to Anstey, I only called in last Saturday, first time ever, I'd know of it for 4years!! You will recognise me as the short bald bespectacled guy with the leather jacket. I will not have a rose in my lapel....nor a Class B tank! Didn't see Craig but was parted with £26 of useful odds and ends from BHE and a £65 Bachmann Farish 8F (China production) to donate its chassis to a Z class tank kit. 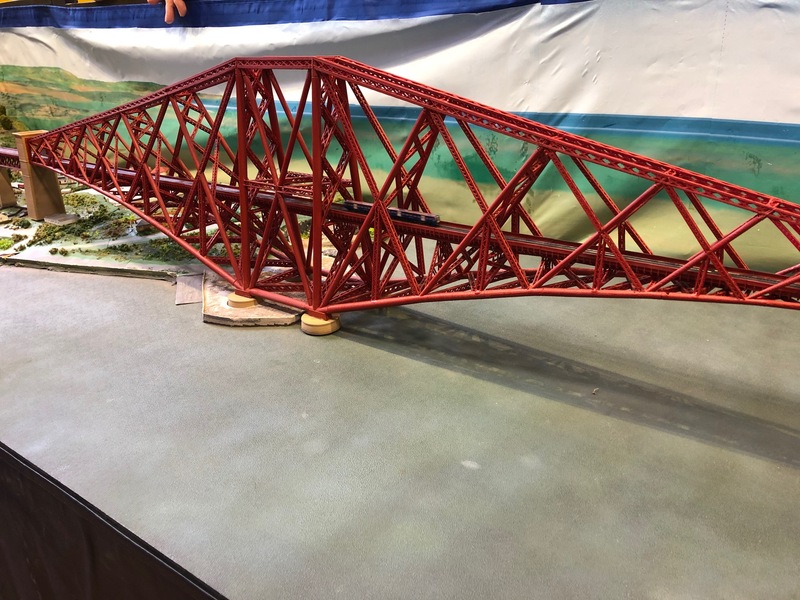 Happy people at the show, and the star was obviously a T gauge model of the Forth Bridge. Only had 1 2 car DMU plying back and forth (pun) but that surely made the bridge seem even bigger! We did get there Bob, I too spent a fair few quid with BHE and depleted half his stock of Headcode discs, just what I wanted. Show was a lot busier then I was expecting was hoping to blow a fortune at Booklaw but nothing for us, or that we hadn't got. Glad you managed to get your headcode discs exmouthcraig , I wasn’t sure if Ray had any left or not ,after the last show at Southampton . Visited the show yesterday, and yes it was busy. Great show . Met up with the usual faces, they model in OO . 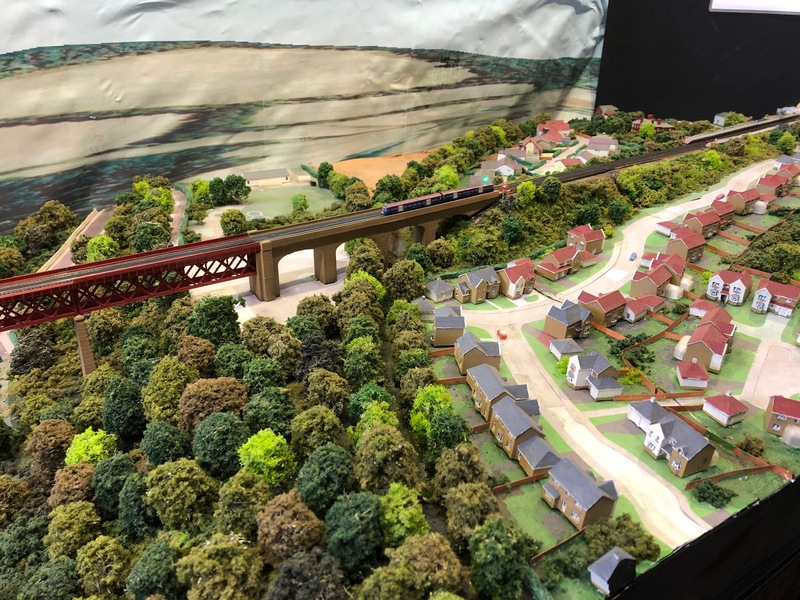 A nice couple of small but well detailed N gauge layouts on show- Easternby Oil Refinery and Ashcombe a GWR branch line. Also Croft Spa with its express trains.